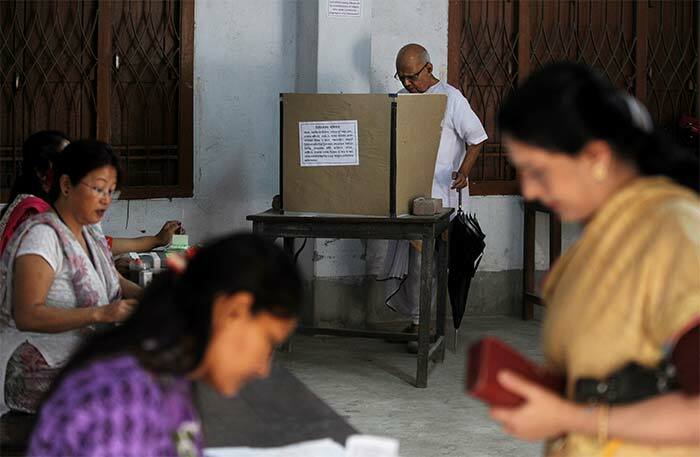 All of Karnataka and much of Rajasthan and Maharashtra are voting today in the biggest of nine phases in the general elections. Of the 121 constituencies across 12 states where polling is on, the Congress holds 36 seats and the BJP 40. 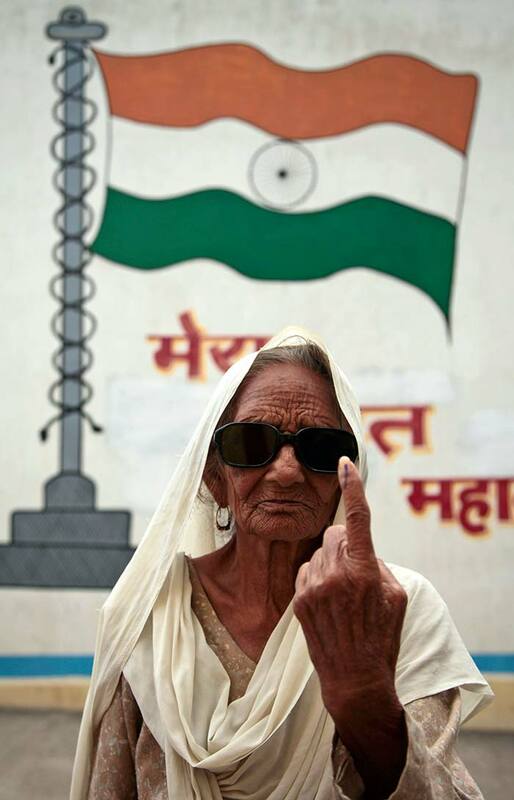 Krishno Devi, 80, displays the indelible ink mark on her finger after casting her vote at the India-Pakistan border village of Kathua, in Jammu and Kashmir. 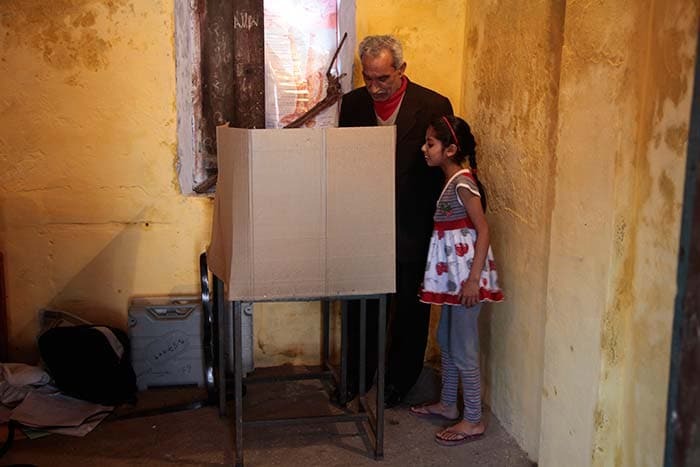 A child accompanies her grandfather at a polling station in Kathua, Jammu and Kashmir. 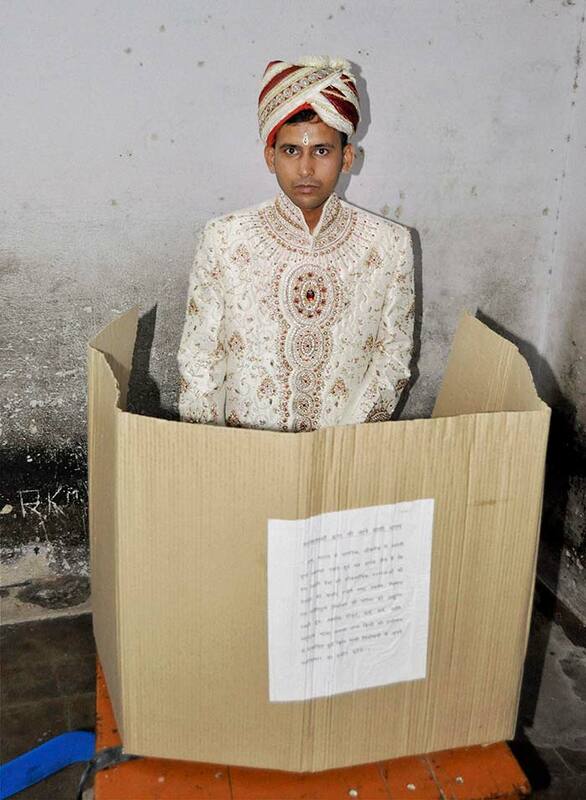 'Band, bajaa, baraat' - but first, a quick vote by this groom. 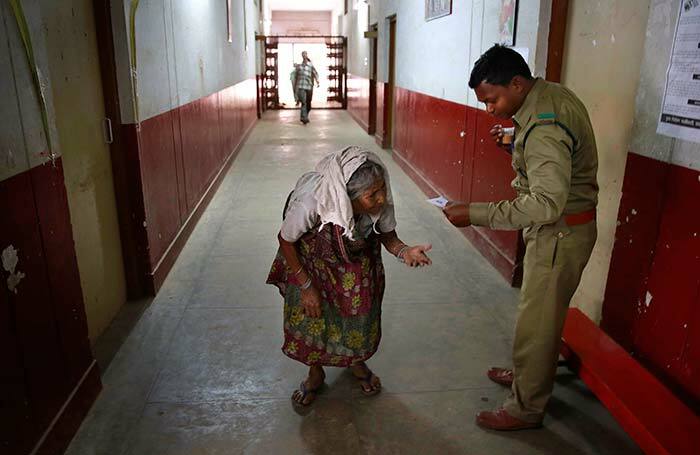 A policeman checks the identity card of an elderly woman at a polling station in Rajnandgaon in Chhattisgarh. 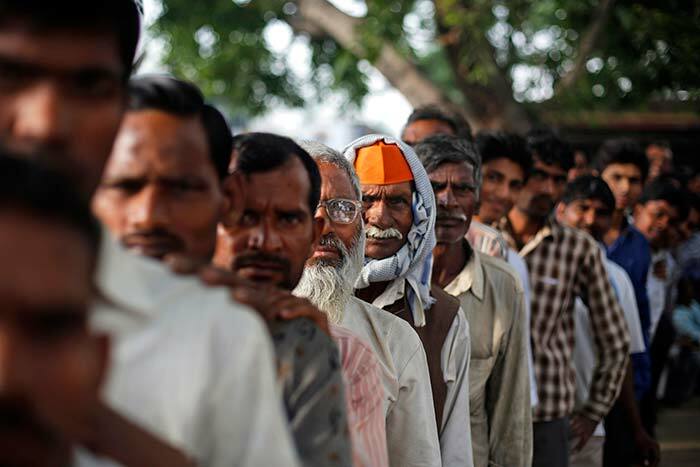 Voters wait in queues outside a polling station to cast their votes in Amroha, in Uttar Pradesh. 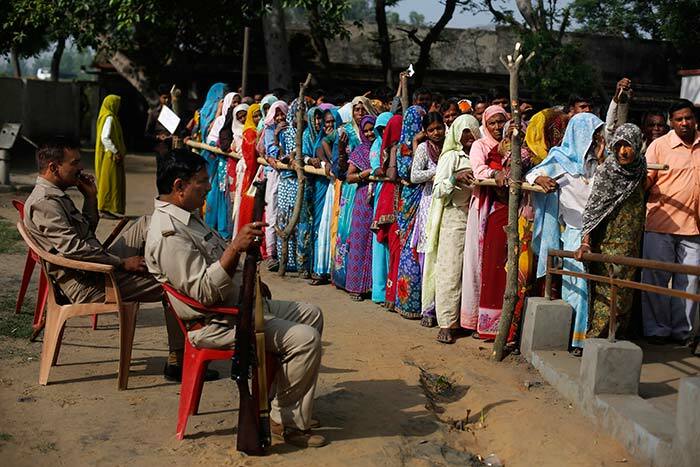 Voters stand in a queue to cast their votes in Shahbazpur Dor village in Amroha, Uttar Pradesh. 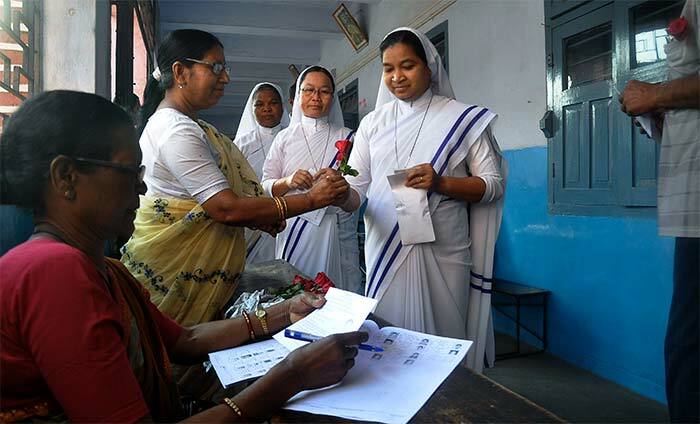 An election official distributes red roses to Nuns during their voter registration in Ranchi on the biggest day of voting in the nine-phase Lok Sabha elections. All of Karnataka and much of Rajasthan and Maharashtra are voting today. Of the 121 constituencies across 12 states where polling is on, the Congress currently holds 36 seats and the BJP 40. 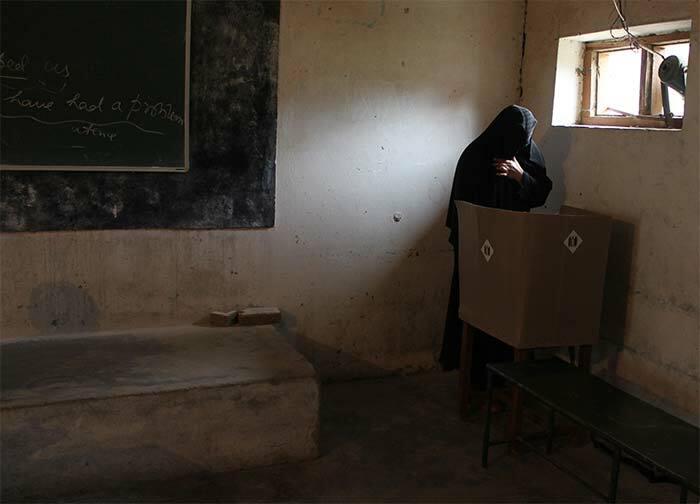 A voter casts her ballot at a polling booth in Doda, some 170kms east of Jammu. 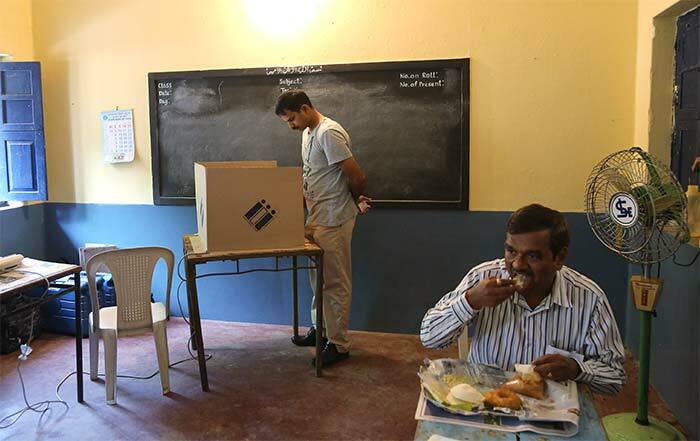 Hari Das, helps his father cast his vote at a polling station in Bangalore. 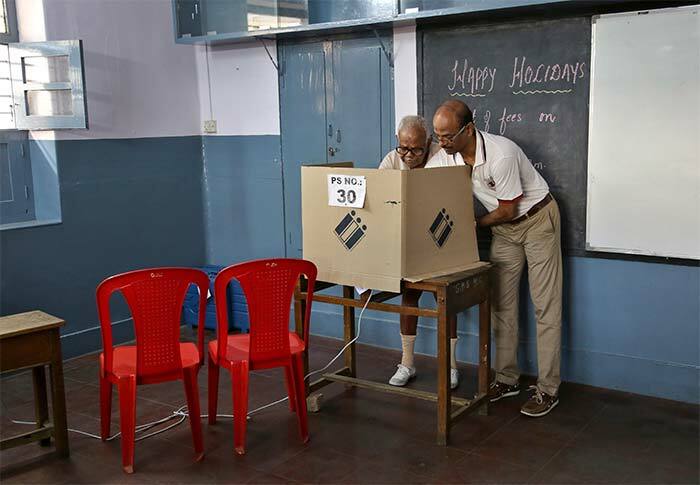 A voter casts his ballot at a polling station in Siliguri. 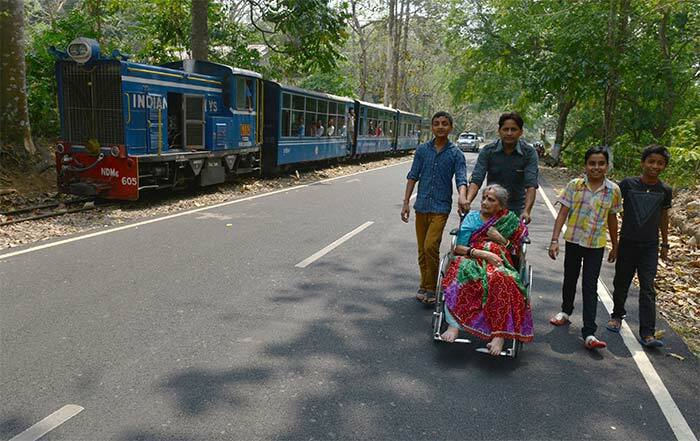 A voter in a wheelchair is helped to a polling station in Siliguri. 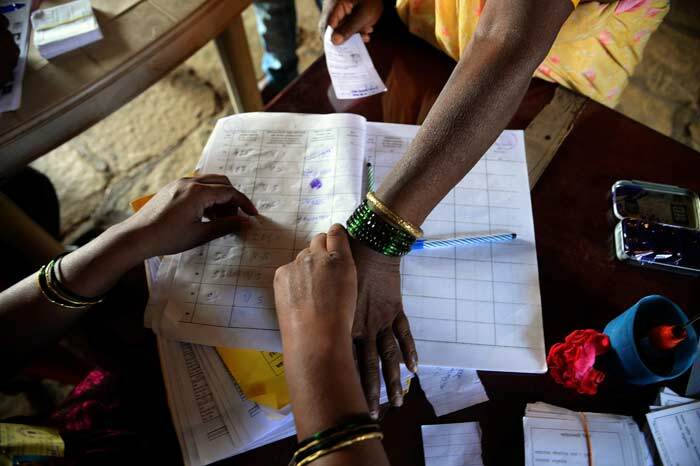 Election officials take the thumb-print of a voter at a polling station in Shirgaon village of Pune district. 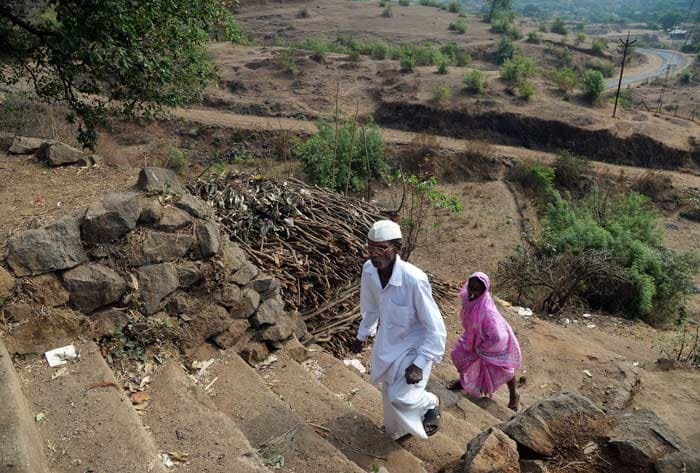 Voters walk towards a polling station in Shirgaon village, Pune. 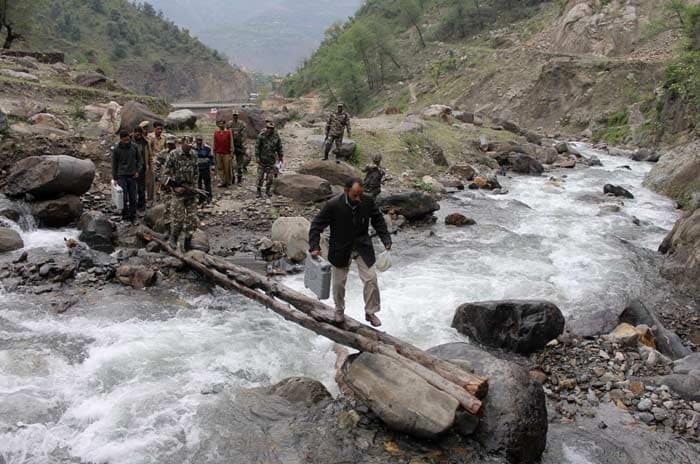 An election offical carries an electronic voting machine to be used at a polling station across a makeshift bridge after collecting it from a distribution centre in Doda, Jammu. 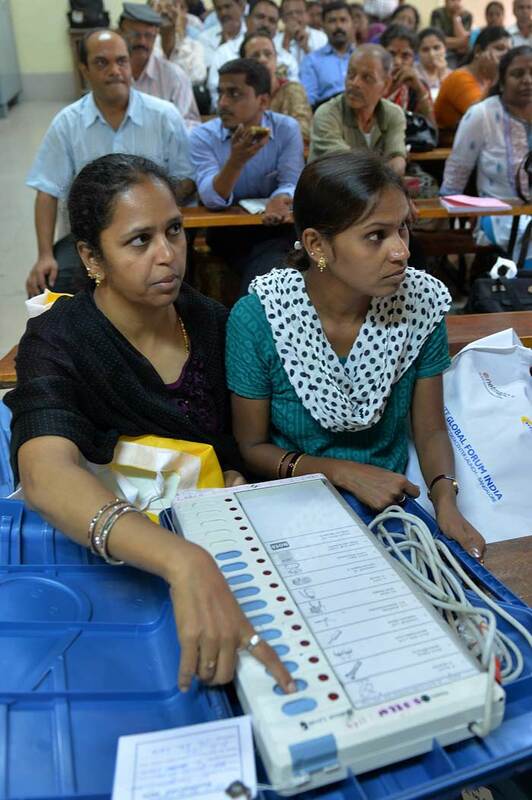 Officials examine a voting machine at an election centre in Bangalore.